Never be without sun protection thanks to the La Roche-Posay Anthelios Pocket Kids SPF50+, a week’s worth of children’s facial sun protection in a travel-sized format. 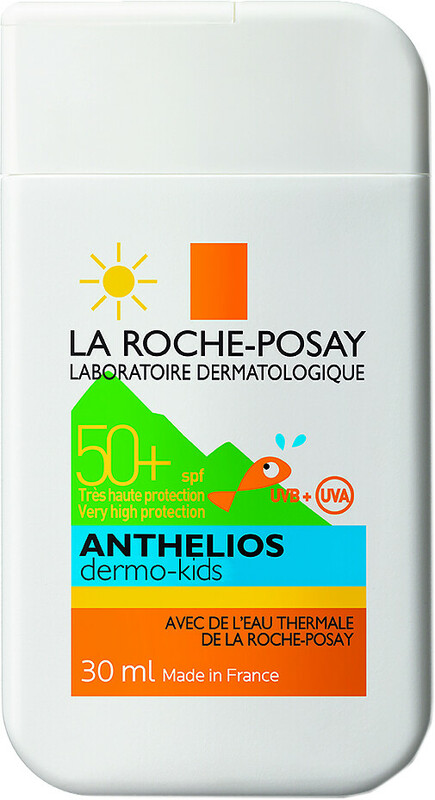 Specially designed to fit into a pocket, the La Roche-Posay Anthelios Pocket Kids SPF50+ contains enough very high broad spectrum (UVA + UVB) sun protection for 7 days. Created with children’s sensitive and sun-intolerant skin in mind, the formula harnesses the filtering system technology of XL-Protect™, and La Roche-Posay Thermal Spring Water, a soothing antioxidant, to keep skin calm yet optimally protected. Comfortable and lightweight, the non-greasy, smooth lotion comes with a handy tic-tac opening which allows for fuss-free top-ups without white marks.